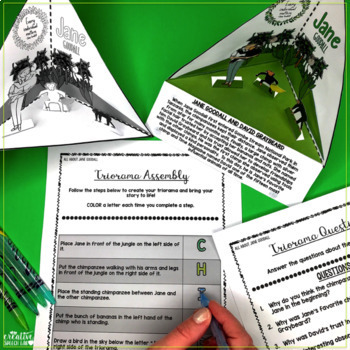 Looking for engaging Earth Day activities to practice vocabulary skills, reading comprehension, WH questions and following directions? This 3D Learning Series teaches all of this and more while bringing a famous person to life! 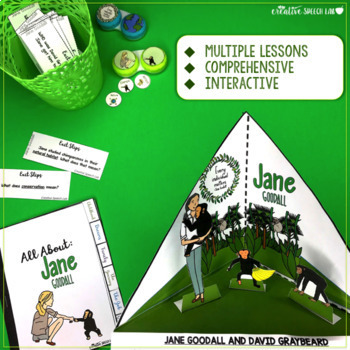 As your students meet Jane Goodall through hands-on and project-based learning, they will encounter nonfiction texts, cloze reading passages and questions, vocabulary activities, directions with basic concepts, exit tickets and more! 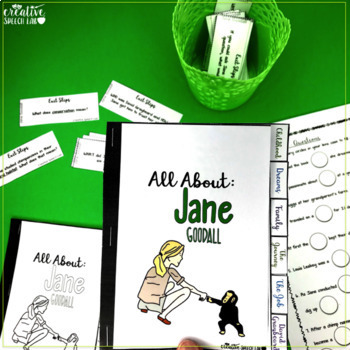 This versatile set works well in small groups, centers or whole class lessons and contains multiple activities designed to last over the course of several sessions! 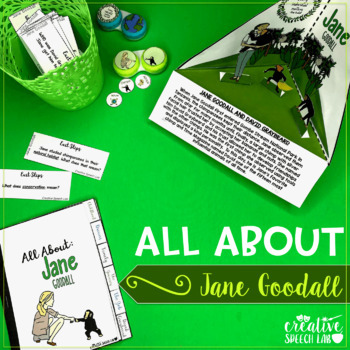 As your students experience Jane Goodall’s fascinating biography, they incidentally learn about topics related to science and the environment as well as women’s history! * Be sure to check out the preview file for a closer look!